07 Dec 2015 in Movies Philosophy ~ read. 2017 update: It is no longer. But maybe you can figure out why it was? 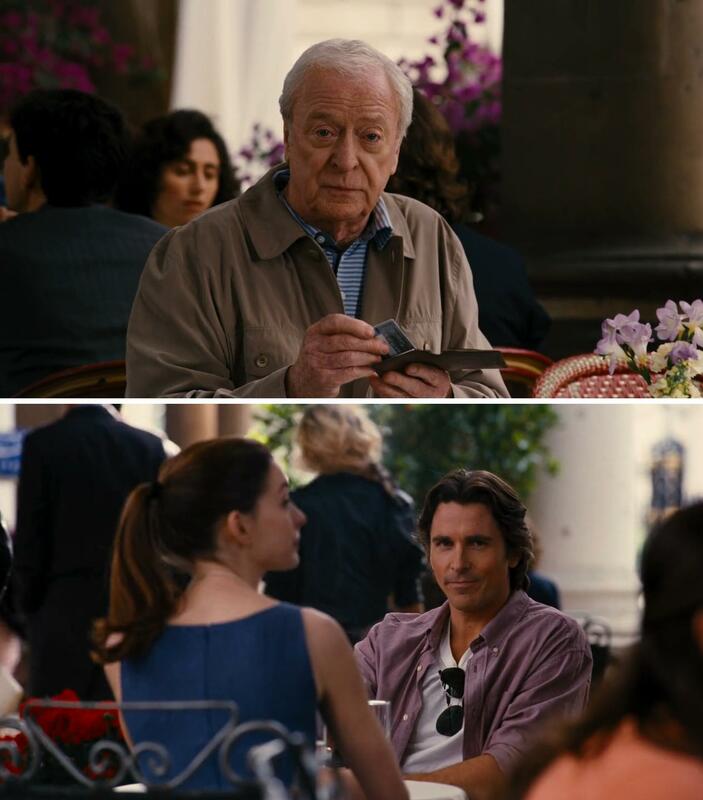 This is the scene, taken from Christopher Nolan's The Dark Knight Rises. If you haven't seen the movie, I suggest watching it first - great flick. Spoilers ahead. Do you ever get scared of losing things? A career, friends, family, health, beauty, savings... It's irrational - we all know that - but entertain me for a moment, take some time, really reflect on how you'd feel if you lost any of these. Perhaps some mean more to you than others. What about... losing it all at once? Could you get back up? If we believe that each individual holds certain values which give them purpose and fuel their existence, then it wouldn't be a stretch to say the loss of these values is akin to a spiritual death. Bruce Wayne suffers such a death in this movie. But in this movie, he is faced with Bane. Bane is not as lucky as Bruce. He never knew his parents or had a modicum of wealth, but manages to rise from this barren past to become a charismatic ideologue, a Robin Hood - no less powerful than Bruce, and in some ways more respectable. Especially when you consider that The Dark Knight Rises was released at the height of the Occupy Wall Street protests. Bane becomes, perhaps unintentionally, a personification of the movement and the will of the people behind it. With his goal of overturning Gotham's socioeconomic structure, Bane views Bruce as the paragon of corruption and vice versa. If you can't feel where Bane is coming from, then at least you understand why he's doing what he's doing. Villains with good backstories almost always make better foils. Before the two even fight, Alfred leaves Bruce, having lost faith that Batman can win. Bruce loses the trust of his closest friend and advisor. Bane bankrupts Wayne Enterprises by hacking the Gotham stock exchange. He breaks Batman's back in a fierce underground melee. He confines Bruce to a nigh-inescapable prison while reducing Gotham society to chaos. Our valiant hero spends months entombed in this abyssal well of a prison, spiritually tortured by a television set showing Gotham's ongoing desecration on the news. Bane's idea, of course. It is a constant reminder that Bruce has failed. But generally speaking, it's not a wise idea to kick a man when he's down, nor is it one to keep prisoners who can help your nemesis out, such as the old doctor who fixes Bruce's back. Enraged, Bruce tries to escape several times by scaling the wall, but fails every time. He survives the falls by way of a rope tied around his waist as a harness. One of the prisoners tells him that the climb has only been done once before, by a small child, whom we assume to be Bane... a child sentenced from birth to be imprisoned for life, a child whose mother is forcibly taken away in front of his eyes to never be seen again. Bane climbs the pit without the rope that acts as a safety harness - it wasn't even an option for him, the prison then controlled by numerous hostile guards, save for the one rebel who snuck him to the wall. In retrospect, it becomes less of a surprise that Batman lost when the two faced off. Director Nolan gets my kudos for this story because it metaphorically demonstrates Bane's superiority. In a way, the rope represents the privilege Bruce had throughout life; he was destined to lose from the beginning. Only when he eschews this lifeline does he finally escape, a literal rising and a figurative rebirth of the Batman. Simply put, this scene strongly resonates with me. I think it's pretty powerful even without the context. I like to call it Pandora's Prison - where hope has escaped, and only man remains. For the architect, there is no practical reason for the rope to exist. It gives the prisoners a risk-free way to attempt escapes. But perhaps its existence serves as a special kind of torment. You see, hope is a powerful thing. It is the anticipation, the possibility of a better future. Hope motivates us to keep moving forward in difficult times because we believe its potentialities are worth whatever we must endure to achieve them. Hope is also a double-edged sword, and this scene is about the edge that faces you. You peer through it like a window, and on the other side you see what you desire more than anything in the world, but can never achieve no matter how, or how many times you try. This scene is about the hope that never disappears though you wish it would, the hope whose existence is grotesquely distorted from one of possibility into one of resignation and despair. Each of the prisoners is so tortured. For them, it is easier accept fate than to challenge it, knowing they will lose each and every time; it is not failure which torments them but opportunity. The Water of Tantalus. However, there is a reprieve. You see when Bane, and later Bruce escape from the prison, they do so under the gravest of circumstances. Without the rope, there is no other option; to attempt and fail is literally to die. The fear of death gives them the ability to fly. When Bruce finally escapes, he vindicates not only himself, but also in a way the prisoners, who are able to vicariously quench their thirst by witnessing a member of their group make it out. They cheer because he once again ignites their hope; not the dark version I described above, but hope for their fellow man. Bruce defeats Bane upon meeting him a second time. Interestingly, upon his dying breath, Bane reveals that it had not been he who made the climb, but Talia al Ghul, daughter of the supervillain Batman had defeated two movies prior. This completes the metaphor; because Bruce accomplishes what Bane could not, Bruce triumphs. Rhetorical question, yes, but I believe it's worth reflection. Even if your loss is but one iota of what Bruce went through in this film, I believe the "yes" is not as important as the "why." Why would you be able to get back up? To protect someone you love? And what would you be willing to wager? Deshi Basara, friends, Deshi Basara. One further point. Having passed the same trial, Talia and Bruce should technically be equals, but Bruce ultimately wins. Why is this the case? Well, it's simple, really. The Dark Knight Rises is a big-budget superhero flick and the hero always wins. Yay! I end with another one of my favorite scenes in this movie - it's up to you to deduce why. 4/3/16 P.S. I just learned Frankl had actually been quoting Nietzsche. Oh well! Leaving my error in as-is for editorial integrity.